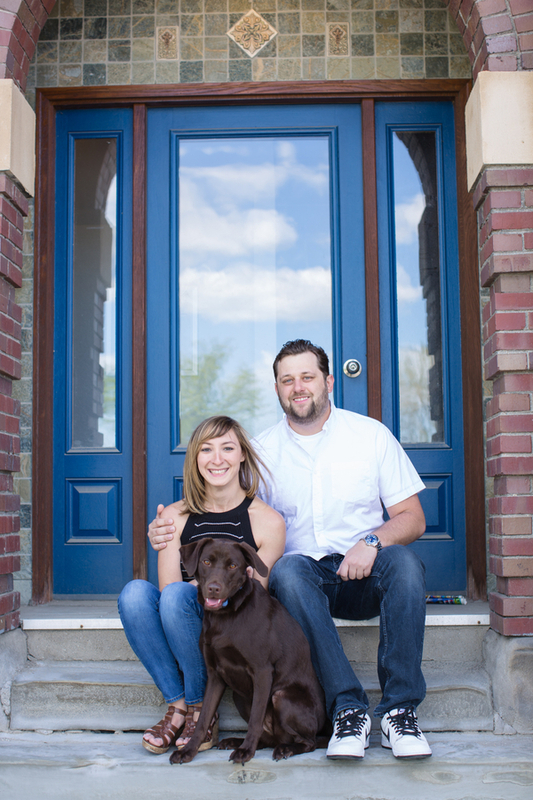 Danielle and Joe had their engagement photos taken in multiple locations in Detroit. 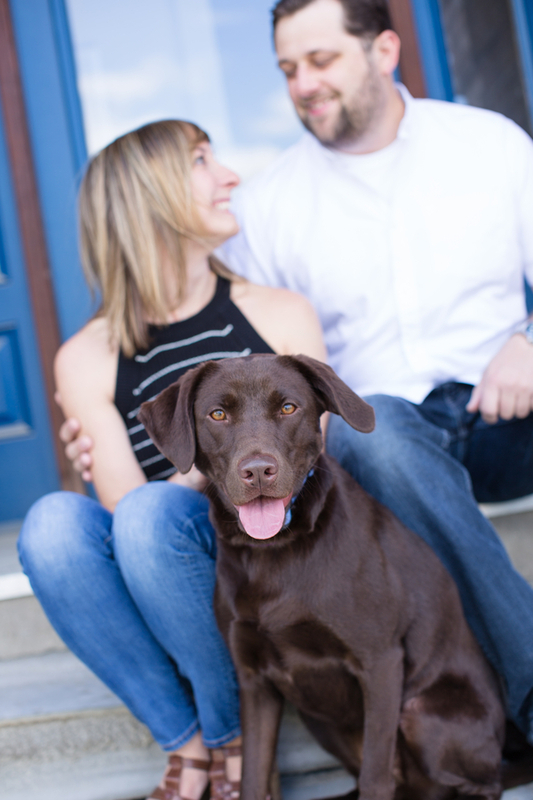 However, Danielle said her favorites are the ones with Donzi the Chocolate Lab. Shannon from Clicking Through Life loves it when her clients include their furry family members in their engagement photos. 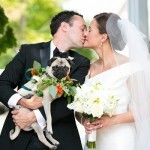 From Shannon: “This lifestyle engagement session at the couples’ loft in Detroit had so many great things going for it. Lots of sunlight, a stunning skyline and spring trees in bloom, and their adorable pup Donzi made this session a photographer’s dream! 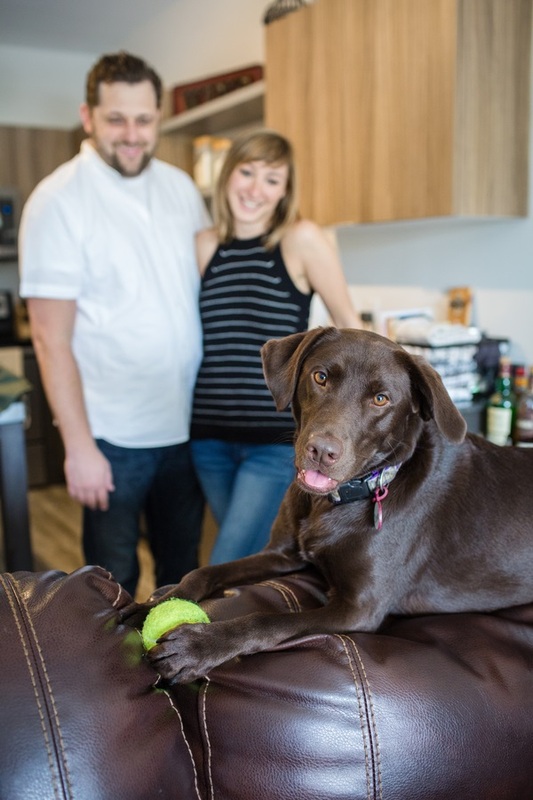 From Danielle: “Despite the impressive number of shoes, garbage, and couches she has eaten in her two and half years of life, my husband and I wouldn’t trade her for the world. She is full and energy and sass. She loves anyone who will feed her and play fetch. We are also called convinced that she thinks she is a cat. Follow Clicking Through Life on Instagram. 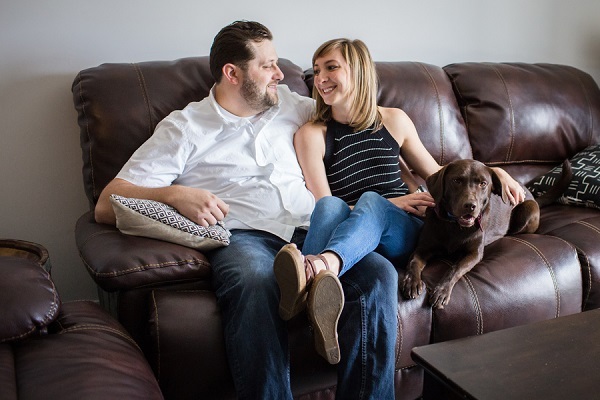 About Clicking Through Life: Based in Marine City, Michigan, Shannon specializes in engagement, wedding, and family portraits. I adore chocolate labs and this one is precious. I love her sweet face! Oh my goodness, Donzi is precious!! We took some of our engagement pictures with our pup and loved every second of it. I love how half the photos are focused on the dog haha. Such a sweet dog. I have a pet as well, and no matter how bad they are sometimes, you always love them with your whole heart. Congrats to the happy couple, they look great! I love engagement photos with dogs! This little one has the SWEETEST face! OMG she is a adorable, I love the way they describe her LOL and so agree that there is nothing more precious than including your pet in the photographs and celebrations. Donzi stole the show in this session! You can feel the love in her eyes. What a wonderful family. 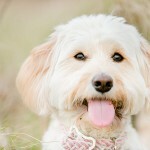 I believe these photo stories are one of the best tools to encourage people to find the dog of their lives and adopt. I love these! My favorite one is where Donzi is in focus on the couch with his tennis ball and the humans are out of focus ha! Dogs always steal the show. They do, and the humans never mind! 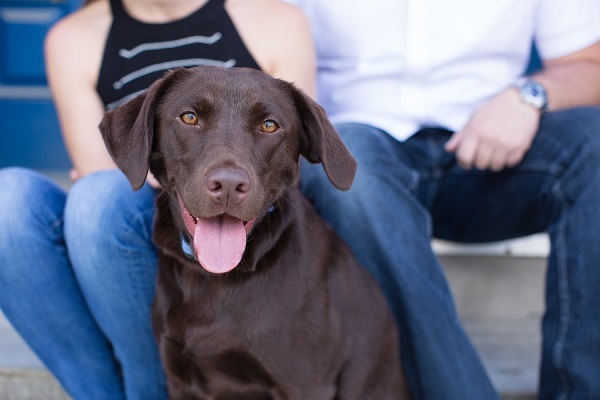 If I was her I would have the same preference that chocolate lab is so gorgeous. I would love a session with Donzi! So sweet! I really love how these capture everyday moments in life. What a happy family! THESE ARE SO CUTE! We just had our anniversary pictures taken with our dogs and we loved having them be a part of the photos!